1. 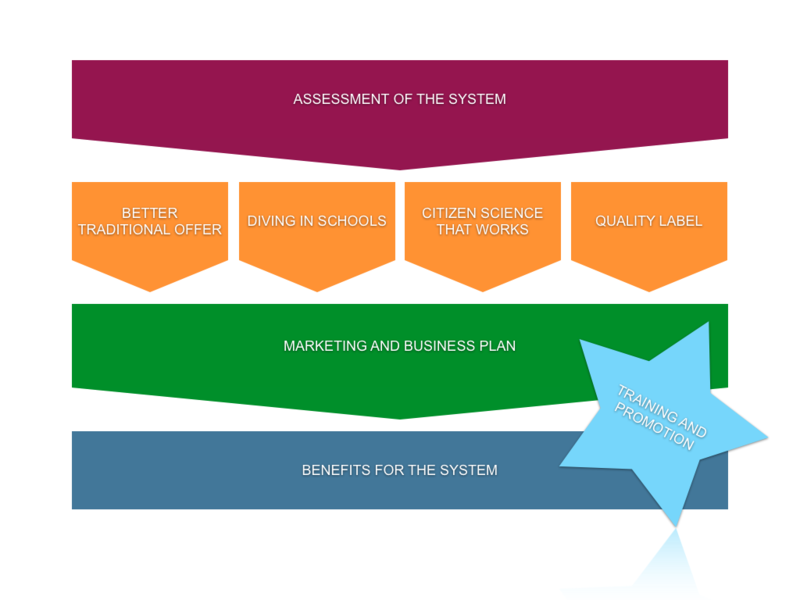 Assessment of the system: How is it structured? How does it work? Where are the open issues? Where the opportunities? 2. Building the response: Addressing the open issues and materialising opportunities. 3. Uptake by the system: Developing tailored marketing and business plans (accompanied by targeted training). Additionally, Green Bubbles will widely promote sustainable SCUBA diving, as well as the many that support us!